Christopher Columbus was an Italian who sailed under the Spanish Flag. He persevered in his quest to obtain backing for an expedition to sail a small fleet of ships to search for a sea route to the Indies. In 1492 King Ferdinand and Queen Isabella of Spain finally give Christopher Columbus the money and ships for his expedition. 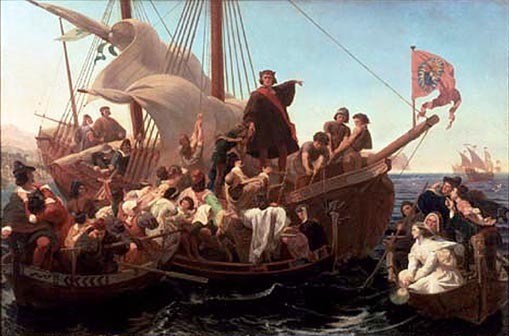 The names of the 1497 Christopher Columbus Ships were the Nina, the Pinta and the Santa Maria. The brave men of the 1400’s and 1500’s, like Christopher Columbus, who sailed in uncharted waters to unknown lands were courageous adventurers who were motivated by fame, glory and the wealth. The living conditions on board the small ships were basic and the voyages were dangerous. His own flagship, the Santa Maria was fitted out in a place called El Puerto de Santa Maria. El Puerto de Santa Maria is located on the Guadalete River outlet, in the Bay of Cadiz. During the 16th and 17th centuries, El Puerto was the winter headquarters and base for the Royal Galleys of Spain. The Santa Maria was named after this location in Spain. The Pinta means the “Painted One” and was probably a nickname given to the ship. The Nina means “Girl” but was originally called the Santa Clara. Her nickname ‘Nina’ probably derives from her master, Juan Niño. The Santa Maria was a nao, was a bit of a tub, and was not able to go near the coastline. But was able to carry a lot of cargo, and it was able to stand up well in bad weather. 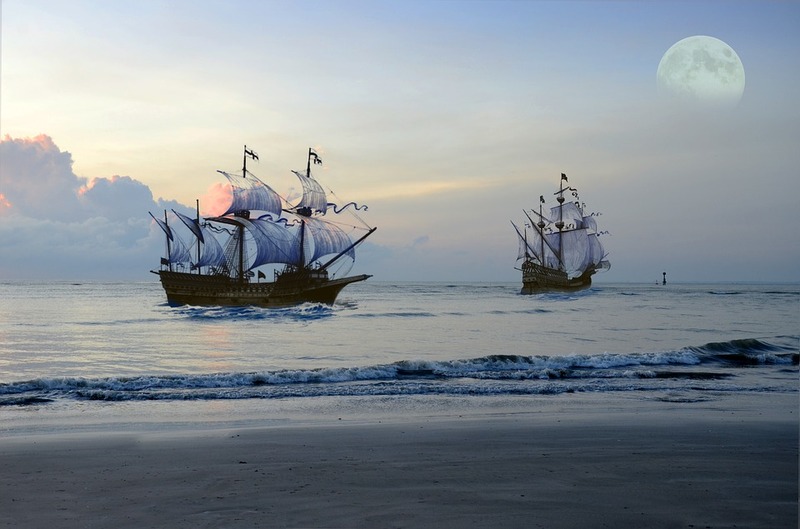 The Niña, the Pinta were caravels, with a shallower draft than a nao, did not have much cargo space, but were able to explore shallow bays and the mouths of rivers. A carvel was square-rigged on its foremasts and mainmasts, but used a lateen sail on the mizzen to help in tacking. A caravel had about twenty crew members, who slept on the deck and would go below only if the weather was bad. The Niña and the Pinta were offered as levy by the Royal Crown of Spain to Christopher Columbus because of a rule which spoke about asking of levy as punishment if and when the citizens had done a wrong deed against the Spanish Royalty. Furthermore, four of the crewmen on the Christopher Columbus Ships were criminals who were offered amnesty in lieu of their volunteering to be a part of the voyage by the Spanish Crown.